Antibiotics Prescribed For Children Twice As Often As Needed : Shots - Health News About 27 percent of respiratory tract infections in children are caused by bacteria, a study finds. But doctors prescribe antibiotics for 57 percent, leading to 11 million unneeded prescriptions. Drat those viruses. They're the culprit in the majority of children's colds and sore throats. When your child has an earache or a bad cold, it's hard to think that there's not much you can offer beyond Tylenol and sympathy. But most of those infections are mostly caused by viruses that don't respond to antibiotics, a study finds. Just 27 percent of acute respiratory tract infections are caused by bacteria, researchers at Seattle Children's Hospital found. That means that more than two-thirds are viral and antibiotics don't help. But doctors prescribed antibiotics for children with those infections 57 percent of the time, the study found. In other words, children are taking medication that's not going to help them and can hurt, because of side effects and the increased risk of antibiotic resistance, both for that person and for the larger community. That adds up to about 11 million potentially needless prescriptions each year. Cutting back on unnecessary use of antibiotics is a "pressing concern," the authors write in Monday's Pediatrics. More than half of all outpatient antibiotic prescriptions are for respiratory infections, they note, which includes ears, noses and throats. But some infections were more likely to be caused by bacteria than others. Ear infections were caused by bacteria 65 percent of the time, while strep tests revealed Streptococcus pyogenes bacteria causing that sore throat just 20 percent of the time. Last year the American Academy of Pediatrics recommended that doctors use caution when prescribing antibiotics for ear infections. That included giving parents a "contingency" prescription to use if the child doesn't get better in a few days. To find this out, the researchers combed through studies published between 2000 and 2011. They also looked at doctor-office visits in the National Ambulatory Medical Care Survey to see what medications were prescribed. There was only one study on sinusitis, bronchitis and upper-respiratory infections that met study criteria, so it doesn't address use of antibiotics for those conditions. The big problem is that aside from the strep test, there are no quick, simple ways to test a child to see whether an illness is caused by bacteria or viruses. So parents and doctors have to guess. This study does give parents and health-care providers a bit more information on the odds of getting benefits from antibiotics. 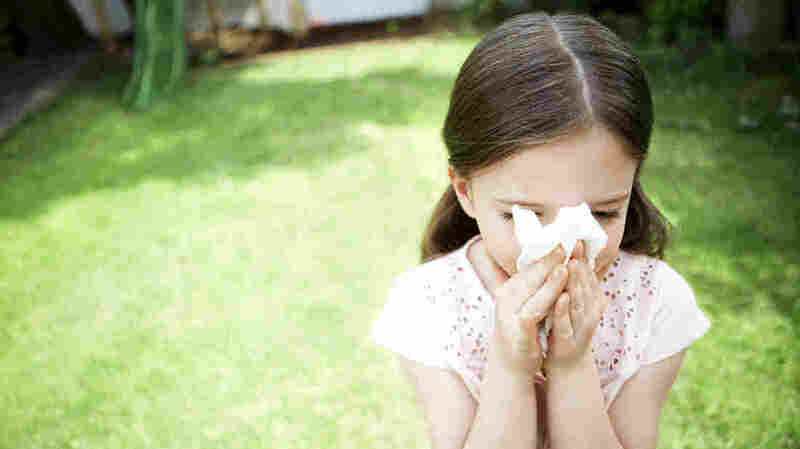 For instance, the researchers suggest that bronchitis, upper-respiratory infections, sore throats and ear infections in children over age 2 would be good candidates for waiting a bit before prescribing or offering a prescription if the child gets worse.